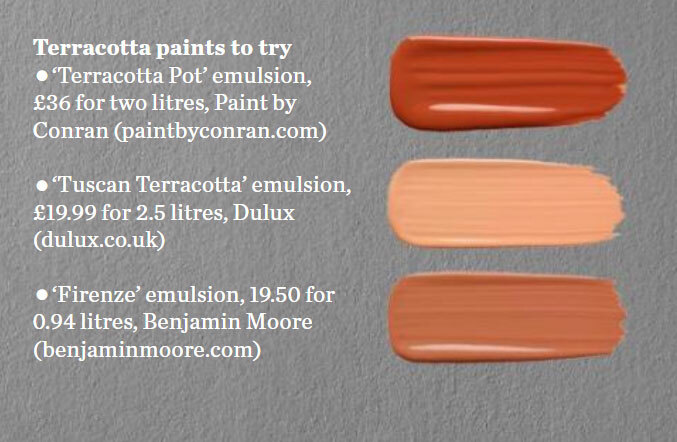 Paint Palette - Orange Blossom. Seek inspiration from our shades of the season - products, textures, patterns and paints that banish the banal to make way for chic, chromatic interiors. 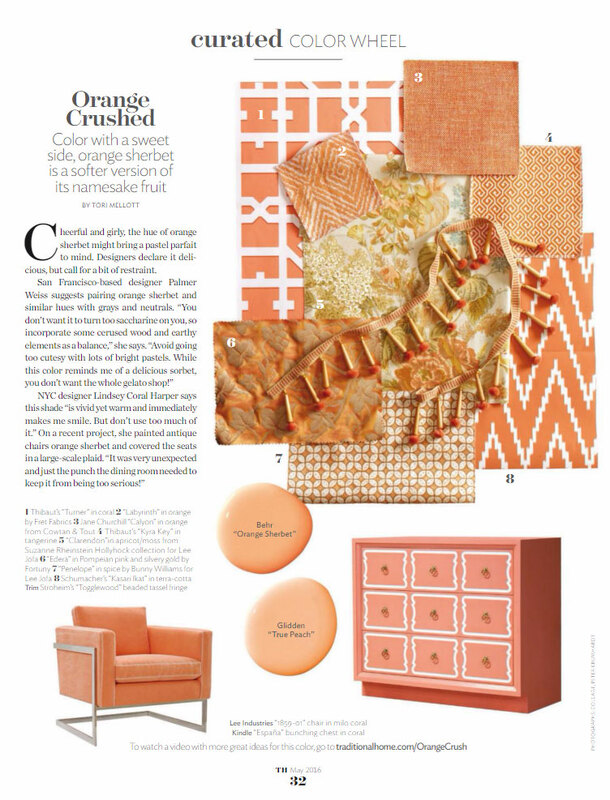 Tangerine hues that infuse the interiors with citrusy goodness. Vivid floral patterns for upholstery. 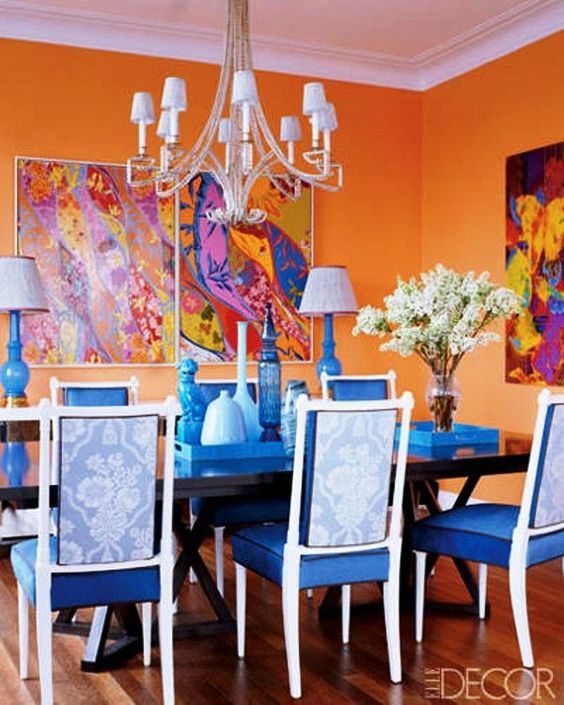 A Traditional styles dining room made very exciting by the bold use of Tropical colors. 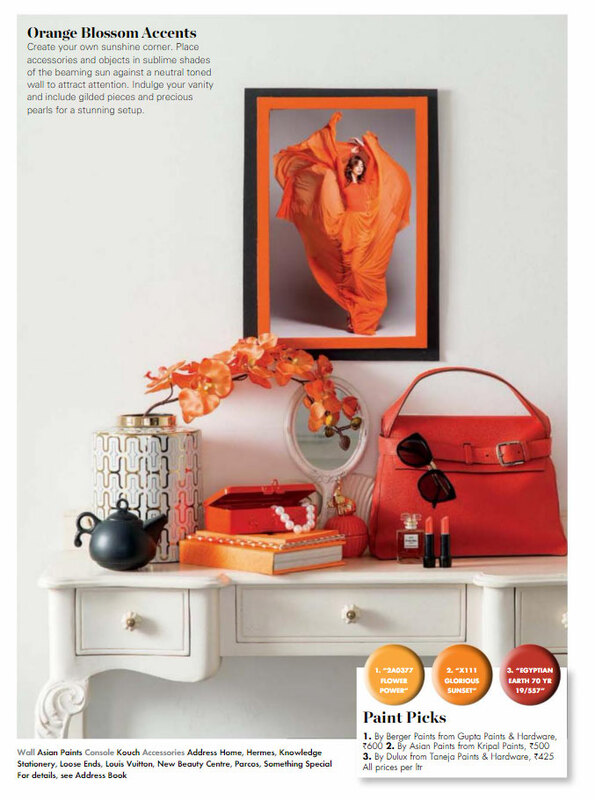 Electric blue in the chairs, vases and lamps contrast nicely with the orange painted walls in Benjamin Moore Calypso Orange. The the hardwood floors and colorful abstract paintings.